Our 2018 Winter Songs & Carols program was tremendous fun to present and an exciting evening for both performances! We were honored to perform with two very special guests: Emily Curtin Culler, soprano, and Katherine Drago Luellen, mezzo-soprano. The year had been a very busy one for the ensemble: multiple concerts, a fundraising campaign, a recording project, and recording sessions. Needless to say, we were happy to put together this program of favorite wintry pieces pulled from past programs plus a few new pieces to spice things up! We presented an updated arrangement of Gregory Norbett’s Winter’s Coming Home which Jason arranged for our performance with Emily. You can watch the premiere performance right here! 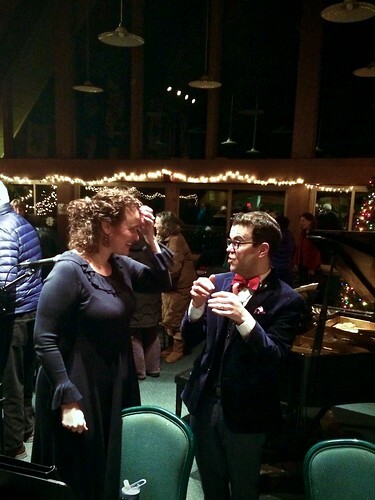 We premiered a joyful, Celtic-flavored original work by Jason entitled A Fine Winter’s Day inspired by a full day of sledding in Leelanau County. We pulled together a truly unique instrumentation for the occasion: flute, clarinet, soprano saxophone, bassoon, & guitar! Watch the premiere performance here! We premiered another original work entitled Midwinter Twilight which Jason composed especially for our upcoming debut album. It was an intertwining of music and narration depicting a fiery sunset just after the winter solstice. It was a fun experience (and challenge) incorporating narration into live performance! If you weren’t able to join us you’ll just have to wait for your copy of the album to hear the piece. As usual, admission to the concert was free. 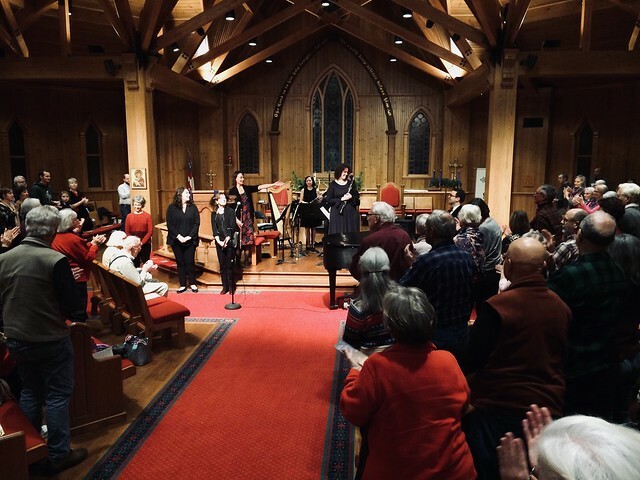 Freewill offerings from our audiences at both performances helped to raise funds for the Friday Community Lunch at Grace Episcopal Church, arts and music programs at the Leelanau School, and operating expenses for our ensemble. Many thanks to our audience for helping us help our community. 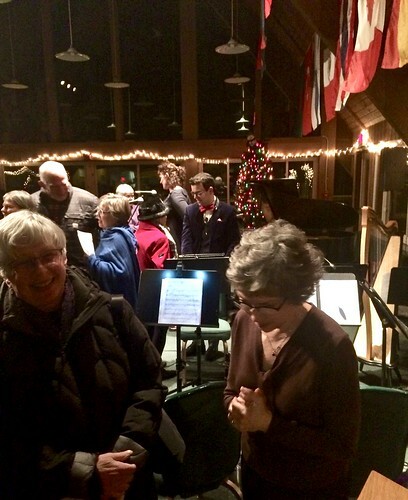 And special thanks to our hosts (Grace Episcopal Church, the Leelanau School, and Glen Arbor Arts Center) who provided wonderful venues and support for both concerts. We so enjoy presenting this annual concert—a beautiful, meaningful way to kick off the holiday season each year. We especially enjoy the opportunity to talk with you afterward and hope you’ll join us at a performance in our 2019 season!